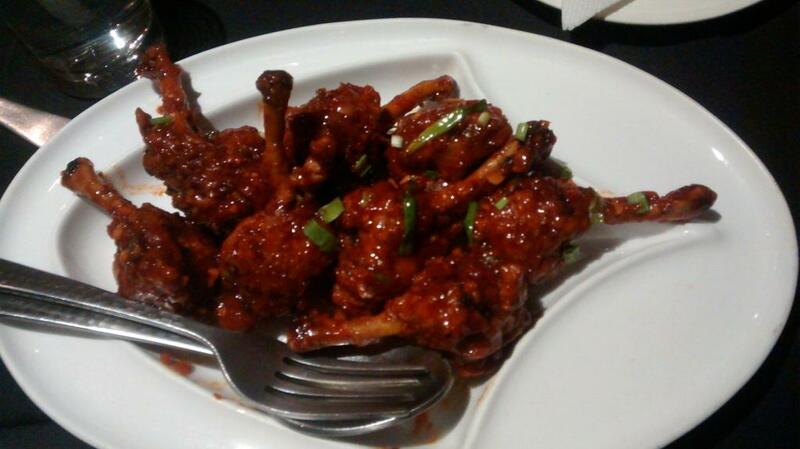 Red is relatively new eatery in on the Zoo Road with options for Indian , Chinese , Indian and Drinks !!!! This is our take on Red and let us know if you like it . Food is on the lower end of mediocre in Red . We tried several dishes like drums of heaven , fish fingers , chicken wings , chicken manchurian , fried rice , chicken kassa among many other things . We found the drums of heaven to be good . The golden fried prawns were too oily and the fish used in fish fingers was old . We ordered three different Chinese Dishes , but were almost shocked to find they tasted all the same . Then again there was no difference between the fried rice and the pulao , except the containers they were served in . Ambiance is quite nice in Red . Ample space , good lighting and live music are few things that contributes to the nice environment of this eatery . The furniture is also OK , giving a kind-of premium look to the place . Service is very slow out here in Red . Even when we were the only occupied table in the whole restaurant , they were taking unexpectedly long time for refilling our drinks , let alone the food . Other than that , the people are quite well behaved and responsive . Even for the bills had to ask several times , before someone had to go and collect it from their counter . The bar scene is also a bit costly in Red . Although they have some of the very costly brands , the medium range brands are quite limited . Plus there was no beer on the day we visited . So its kind-of unpredictable in here . Open During : Red is open from 11.30 AM to 11.30 PM . Bar closes at 10 PM .